Get up to 27% off on Nankai Limited Express Rapi:t Round Trip Ticket when you buy a USJ 1 Day Ticket combo package! Enjoy easy travels and shopping coupons when you purchase round trip Rapi:t tickets between KIX to Namba! Check out this neat bunch of delicious restaurants around Namba and other areas in Osaka! Introducing the most retro arrival experience Japan has to offer! 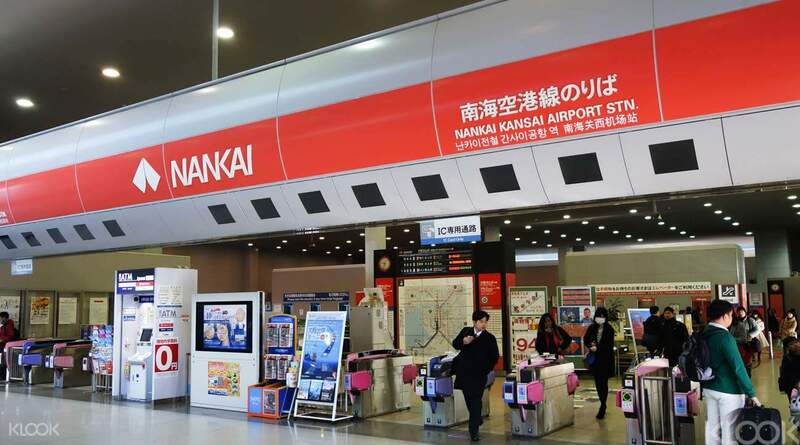 Take this convenient Nankai Line Airport Express transfer service between Kansai International Airport and central Osaka. Simply redeem your voucher for your one way or roundtrip Kanku Tokuwari Rapi:t ticket in any of the four convenient counters, including Kansai International Airport. 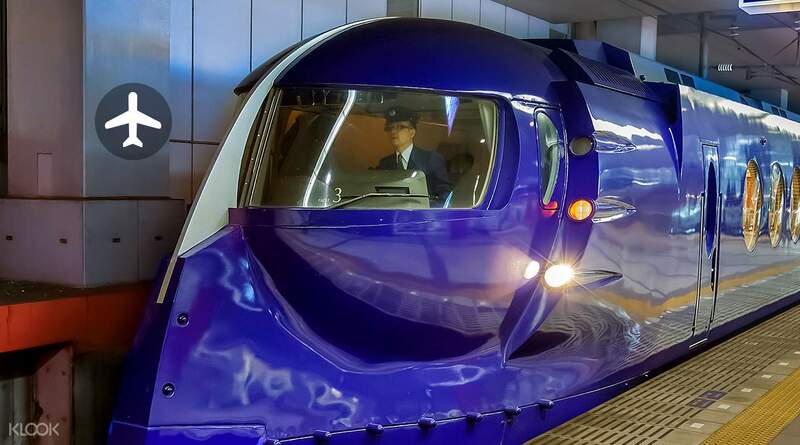 Your trip from Kansai Airport to Namba Station will only take 38 minutes, and while traveling, you will relax on a comfy train with a 'retro-future' interior design. Waiting for your train can be daunting, especially when you are already tired from flight, but fear not, for this service runs every 30 minutes from day to night. You have the option to purchase one way tickets from the airport to Osaka city, or for even more convenience, book a round trip and make your way back home easier than ever! Claiming physical ticket was a breeze. Go out of arrival area and walk across to the train station. The office across the gate is where you will exchange the ticket. Thank you Klook for this. Will definitely use again. Claiming physical ticket was a breeze. Go out of arrival area and walk across to the train station. The office across the gate is where you will exchange the ticket. Thank you Klook for this. Will definitely use again. You can conveniently pickup the pass at the airport and nankai Namba Station. Leaves the station on time and arrives at your destination on time. I will buy again if I’m going back to Osaka which is sometime in the future. Highly recommended to anyone going to Osaka. You can conveniently pickup the pass at the airport and nankai Namba Station. Leaves the station on time and arrives at your destination on time. I will buy again if I’m going back to Osaka which is sometime in the future. Highly recommended to anyone going to Osaka. Purchasing a One-way Airport Express Pass from Namba to Kansai Airport made my travel very easy and convenient. It was very easy to redeem at the Namba Service Center, 2F. I highly recommend buying this if you dont want to miss your flight! Purchasing a One-way Airport Express Pass from Namba to Kansai Airport made my travel very easy and convenient. It was very easy to redeem at the Namba Service Center, 2F. I highly recommend buying this if you dont want to miss your flight! super convient ticket access from Kansai airport to Osaka-Namba station. Buy the return ticket from Klook with cheapest price. All ticket with the seat no & no need worry no seat. Just to remind voucher from HIS counter need to exchange the actual ticket from the ticket counter. super convient ticket access from Kansai airport to Osaka-Namba station. Buy the return ticket from Klook with cheapest price. All ticket with the seat no & no need worry no seat. Just to remind voucher from HIS counter need to exchange the actual ticket from the ticket counter. Exchange for your voucher at HIS counter located at the arrival hall after security area. Look out for Nankai counter and use the voucher to exchange for train ticket of the time your desire. Follow the path on the floor to the boarding platform. Simple and hassle free. Seats are comfortable and ample storage space for luggage at each cabin. Exchange for your voucher at HIS counter located at the arrival hall after security area. Look out for Nankai counter and use the voucher to exchange for train ticket of the time your desire. Follow the path on the floor to the boarding platform. Simple and hassle free. Seats are comfortable and ample storage space for luggage at each cabin. We are happy using Klook services for our Osaka trip from Kaisai airport to our hotel with Cheaper tickets, we are safety and faster for our train journey. We are happy using Klook services for our Osaka trip from Kaisai airport to our hotel with Cheaper tickets, we are safety and faster for our train journey. 42 minutes from Namba to Kansai International Airport. This airport express is very convenient and really on time. Vendo machines are also available inside the car, and comfort rooms as well. 42 minutes from Namba to Kansai International Airport. This airport express is very convenient and really on time. Vendo machines are also available inside the car, and comfort rooms as well. This is a separate train from the regular train amd it gives you a vintage feel for the look of the train. It is the fastest way to Namba station. Good thing I was able to ride the last train as there were some train delays that day. All in all, I enjoyed this train ride upon arriving at Osaka. This is a separate train from the regular train amd it gives you a vintage feel for the look of the train. It is the fastest way to Namba station. Good thing I was able to ride the last train as there were some train delays that day. All in all, I enjoyed this train ride upon arriving at Osaka. Its convenient & save time taking the Airport Express. This fare entitled you to a reserve seat. Spacious enough for you to bring in your luggage to your seat. Station is just few steps away from Kansai Airport. Seats are flexible in a way that you can change its direction. Eg. 4 friends can sit facing each other. Its convenient & save time taking the Airport Express. This fare entitled you to a reserve seat. Spacious enough for you to bring in your luggage to your seat. 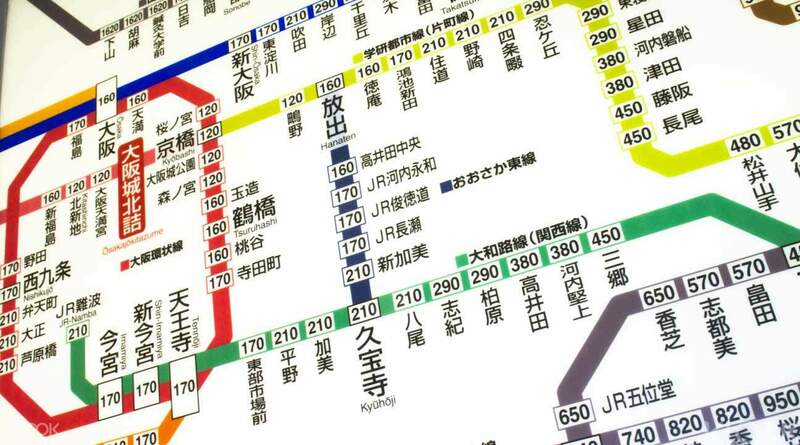 Station is just few steps away from Kansai Airport. Seats are flexible in a way that you can change its direction. Eg. 4 friends can sit facing each other. Q: Does the Nankai Electric Railway offer reserved seating? A: Yes. You can reserve seats at the ticket counter when redeeming your voucher for the physical train ticket. Q: The details state that "Children under the age of 5 are free of charge". My children are older than 5 and are ineligible for this free ticket, do you also sell a child ticket for children between age 6-12? A: Child tickets are available for children between the ages of 6-12 and are currently JPY 640 each way. This ticket cannot be purchased online and must be bought in person at the train station. Prices are for reference only and are subject to change.